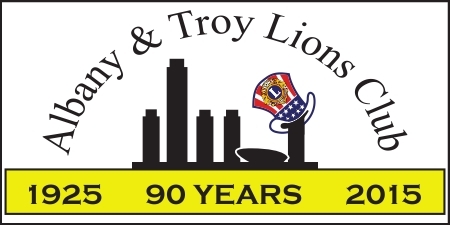 Helping the residents of Albany, Troy and the surrounding areas since 1925. Sat. April 27: Work day at Regional Food Bank. See page 4 of the April Rare Meat. Wed, May 1, at 6 PM: Our next general meeting at the Red Front. Lion Greg Sheldon will talk to us about his community garden projects. Photos are finally on line! I'm interested in your club's activities. Please send me Rare Meat, your monthly newsletter. Instead of shopping at amazon.com, please shop at smile.amazon.com/ch/22-3255679. You'll get the same great deals, plus a percentage of your purchases will be donated to the Albany & Troy Lions Charitable Fund. And don't forget to visit your District web site. Lions are men and women from all walks of life who volunteer their time to humanitarian causes in their local and world communities. By conducting service projects and raising funds, Lions strive to help those in need, wherever need exists. Although the youngest major service club organization, Lions Clubs International is the world's largest, with 1.4 million members in over 180 countries. We Serve is not only our motto, but a definition and a philosophy.